Interested in learning about the Middle Ages and listening to medieval music? Try tuning into CEU Medieval Radio, which is based out of Central European University in Budapest, Hungary. We interviewed Tamas Kiss, Head Editor of CEU Medieval Radio, about this station and what you can hear on it. Why did you want to create a medieval radio station? I first started thinking about launching a medieval themed online radio back in 2011. I was a first-year doctoral student at Central European University’s (CEU) Medieval Studies Department, and I regretted a lot that the enormous amount of knowledge which was being accummulated in our field would never reach the wider public. I found it aggravating that while the conferences and public lectures I attended and the doctoral researches going on around me radiated exciting novel ideas, everytime I talked to ‘non-academics’ about what I was doing, I had to explain them that medieval thinkers did not think the Earth was flat and that the word ‘Ottoman’ did not only refer to a piece of furniture. Peculiarly, in spite of the fact that common knowledge about the Middle Ages and the Early Modern period is rather poor, there was and still is a growing interest in these historical periods, which manifests especially in the success of medieval themed comuter games. I thought a medieval radio could capitalize on the expertise of students and faculty at CEU’s Medieval Studies Department and the interest people show toward anything that features witchcraft and heavy armour: if the makers of the programme and the listeners would meet halfway between the historical sciences and popular imagination, I thought that I as a historian would have already done a great job. When the inauguration ceremony of CEU Medieval Radio took place on 25 April, 2012, I had been working on the radio for half a year. In my opening speech I made a point that besides the radio’s mission to bring the Middle Ages closer to the wider public, CEU Medieval Radio was also worth working on because it inspired so many fantastic people. The enthusiasm of our music editor Kyra Lyublyanovics, programme editor Zsuzsanna Eke, and programme host Christopher Mielke are probably the ones to whom CEU Medieval Radio’s success owes the most. Our collaborative efforts have made CEU Medieval Radio the only medieval themed radio on the internet which provides its listeners with verbal content unlike the other two similar radios out there which are in fact only automated playlists of medieval music. As for our music repertoire, CEU Medieval Radio is currently the only medieval themed radio on the internet which plays only authentic medieval and renaissance music from the Iberian Peninsula to the Ottoman Empire. Just for the record, CEU Medieval Radio is 100 percent legal–we pay copyright fees to copyright agencies and play legally purchased music. I think in the world of free download having an online radio station where you know you aren’t breaking the law by listening to it, is relieving not only for the authorities but also for the listeners. However, the downside of this is that the Radio Team receives no financial support (all of us work at CEU Medieval Radio as volunteers), and while the Medieval Studies Departent has so far covered our copyright installments, it is the team members who cover the costs of purchasing CDs. So if you know anyone who would like to donate CEU Medieval Radio CDs of medieval and renaissance music do let us know. How many listeners do you have to the station and what are ways people can hear it? Between 1 April and 1 May, 2013 CEU Medieval Radio had 13,680 listener sessions from 4,194 individual listeners in 119 countries (find stats attached). Since CEU Medieval Radio began webcasting in April 2012, the radio has had over 32,000 individual listeners in 141 countries (note that there are 196 recognized countries in the world). Having been ‘on air’ for only a year, I think the Radio Team can be proud of these numbers especially in light of the fact that we are a no-budget radio with no marketing spendings. 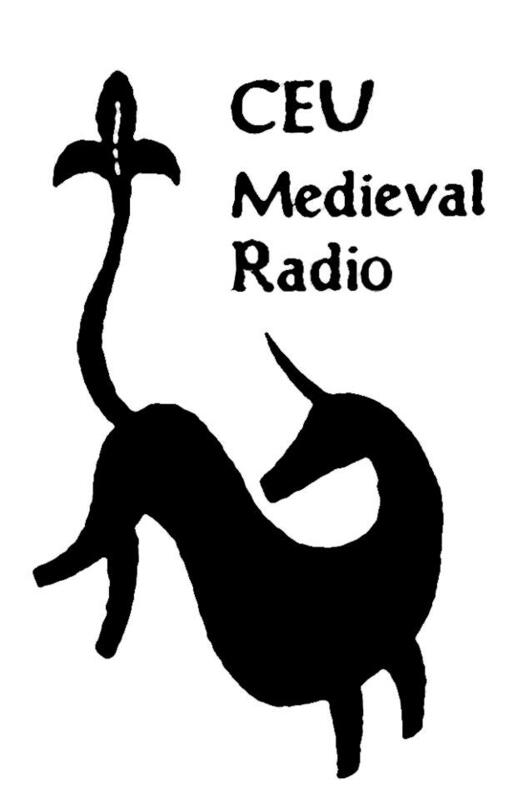 In fact CEU Medieval Radio’s 1MM campaign is an attempt to attract more listeners to the stream (for details see http://medievalradio.org/win-with-ceu-medieval-radio/ ) in a DIY manner. Quite a few people have criticised us for trying to collect 1,000,000 likes on our Facebook fan site when BBC News has only as many as 813,000. However, we believe that ‘help us collect 1,000,000 likes on FB’ will receive more attention than ‘help us collect 3,122 likes’, and at the end of the day attention is what we need at this point. And so what if we reach 1,000,000 only in 20 years’ time? We are historians–a few decades don’t seem such a long time to us. Having said that, when we have collected, say, 2,000 likes, we will start giving away our 1MM gifts to our fans. People can listen to the CEU Medieval Radio through our new website at www.medievalradio.org, but the stream is also accessible in Winamp’s media library (Shoutcast), on any major online radio portal such as StreamFinder, MusicGoal, Reciva, as well as on apps like RadioBee and V-Tuner. Could you tell us more about the programs on it, including Past Perfect? CEU Medieval Radio has a weekly talk show entitled ‘Past Perfect!’, where our host Christopher Mielke discusses medieval and early modern history and culture with his guests. We play ‘Past Perfect!’ on Tuesdays and Wednesdays on the radio and in cooperation with one of Budapest’s community radios called Civil Radio in terrestrial broadcast on Sundays. So far world 41 acclaimed scholars such as Natalie Zemon Davis, Gabor Klaniczay, and Alan Cameron who have been kind enough to accept our invitation to the show. In fact last week we played some of our best shows during our ‘Past Perfect!’ Weekend, which was a great success. We are planning to schedule similar feature weekends in the future, which we will promote beforehand on our Facebook fan site and our website. We have been planning to launch a Latin language learning show for some time and we have sound recorded the letters of Eloise and Abelard with Judith Rasson, which we play in random bits on the stream. We also have a large number of public lectures up our sleeve, which we would only like to make public in podcasts. At the moment, however, we are saving up to rent server space to store these lectures before we can post them on our website. What are the future plans for CEU Medieval Radio? We hope to turn CEU Medieval Radio into the most listened-to online radio associated with medieval and early modern history and music. We continue making shows to entertain and educate people because we like doing it. Whatever success comes out of our work is an added bonus. We thank Tamas Kiss for answering our questions.